Florence is one of those places I could visit over and over again, and always discover something new. Naturally, it helps when you have a good guide, like Luca from Context Travel, our guide in the Made in Florence walk around Oltrarno to discover the artisan tradition of the area. It was a sunny day, and the façade of the Santo Spirito church reflected the white sunlight against the blue sky. I felt as if we were in a Greek island – a world away from the crowded streets and squares of Florence’s historic centre, where selfie sticks and tourist groups outnumber locals ten to one. 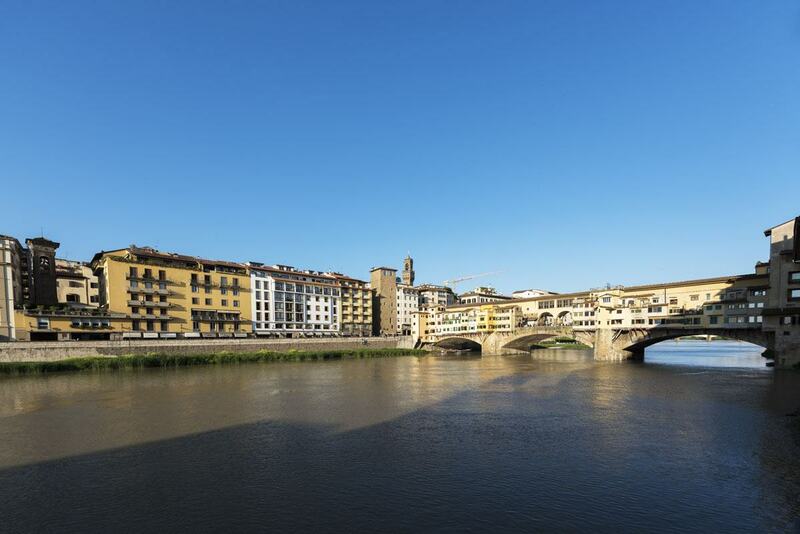 You just need to cross the Ponte Vecchio (or any other bridge) and head into Oltrarno to discover a whole new world – one that only Florence locals and lovers usually venture to, where artisan workshops and stores are far more numerous than souvenir shops. I’ve been to Oltrarno several times, and much prefer it to the ‘other side’ of the river. 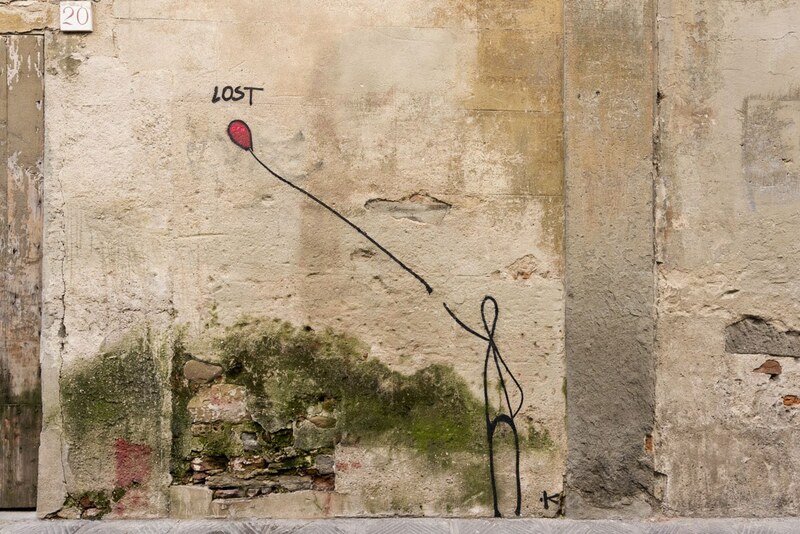 I believe my sentiment is also shared by locals – in the Five Florence Insider tips article I wrote a few years ago, three out of five places were to be found in the Oltrarno area. Oltrarno is also famous for its artisan tradition, dating back to the time when the Medici family built Palazzo Pitti in the 15th century. Scores of artisans and craftsmen moved across the river to offer their services to the Medici family. The Medici lived in Palazzo Pitti for over 200 years – their move across the river attracted several members of the Florentine aristocracy, giving artisans and craftsmen a further chance to hone their skills. 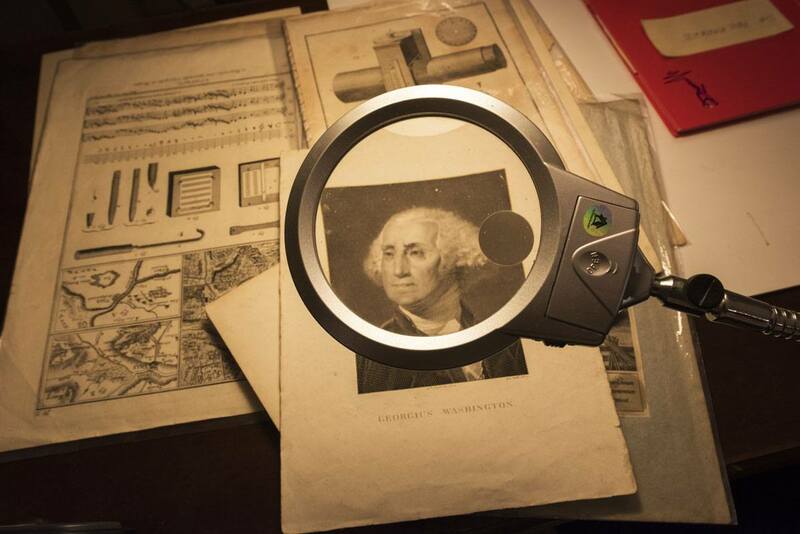 Book binders, restorers, painters, etchers… Metalworkers, carpenters, glass blowers… Artisans and craftsmen had their workshops and ateliers in the Oltrarno area for centuries, up until the mid-Twentieth century, when two tragedies hit within only two decades of one another. The first was was WW2, and the strategic decision to blow up all of Florence’s bridges, except for Ponte Vecchio. Many workshops were damaged in the blast, and the area became more and more isolated. The second was the flood of the Arno on November 4th, 1966, that destroyed many of the surviving workshops, and pushed several artisans away from the area. 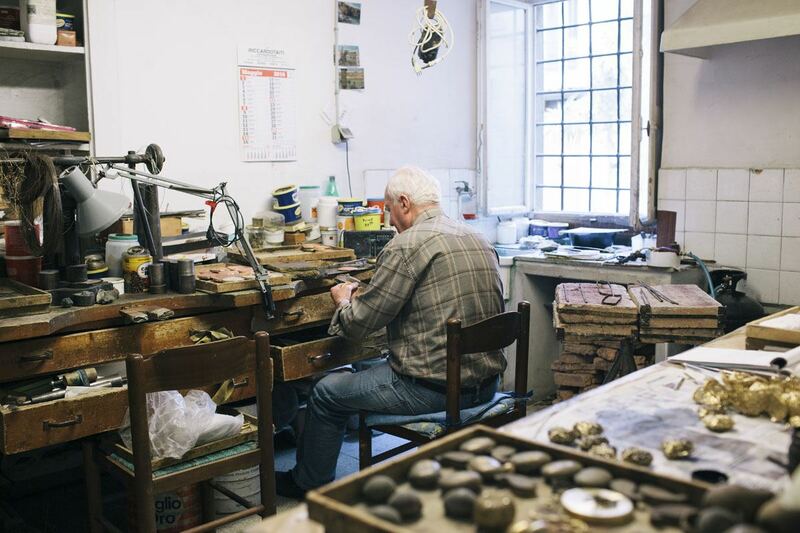 Nowadays, artisans around Oltrarno may not be as many as during the ‘golden years’ of the Medici, but there are still several long-running workshops, where artisans and craftsmen carry on with their work and tradition. 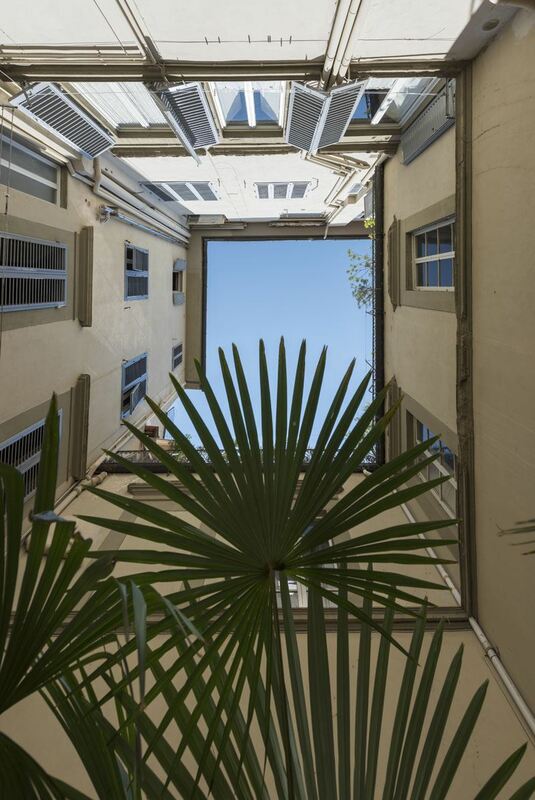 Many workshops are hidden away in backstreets, courtyards, basements. Having a guide will definitely help finding artisans that welcome visitors and learning about their work – Florence locals are a welcoming and friendly folk, but they may not be too pleased if you walk into their shop out of the blue and interrupt their work. We decided to join the Made in Florence walk run by Context Travel. Our guide Luca was a Florence local who is seriously passionate about sharing the secrets of Oltrarno and its artisans with visitors, taking them around this little-visited corner of the city. The first place we visited was in a courtyard just off Piazza Santo Spirito, where we had just met. 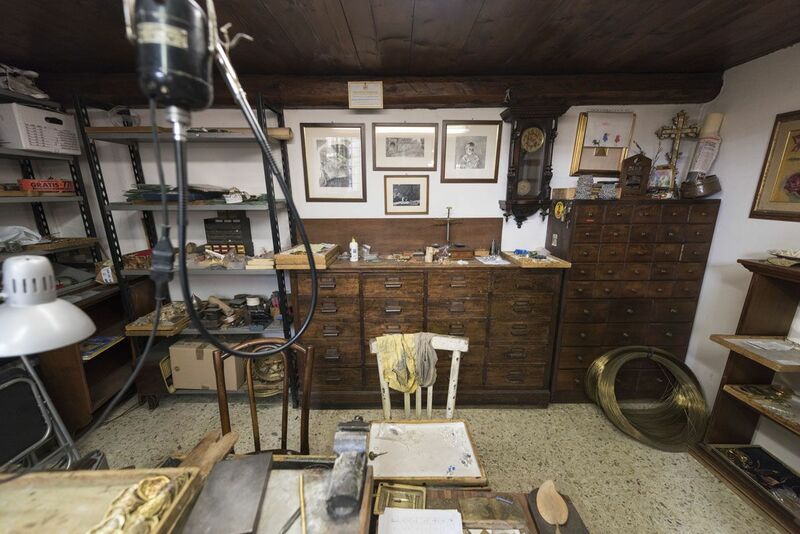 Behind a thick wooden door, was the entrance to Giuliano Ricchi’s workshop. 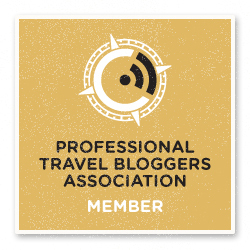 Before entering, we spied through a wide-open window. A 70 year old man, Gianni the master welder, was working with a blowtorch, fixing the hinges onto some powder boxes. 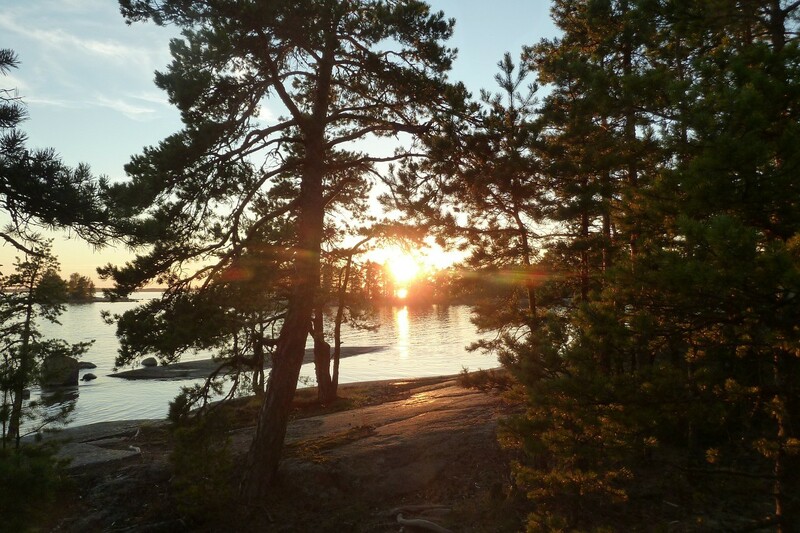 He wore no glasses, nor protective clothing – ‘my eyes are still good enough’ he joked, greeting us. 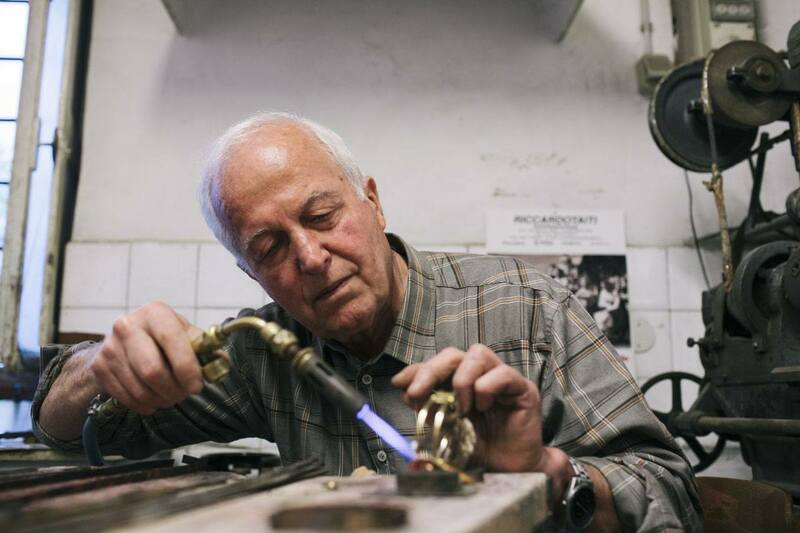 Giuliano came to meet us at the door and led us inside, explaining that he started working there when he was a teenage apprentice and then went on to buy the business from the original owner, Carlo Cecchi, after whom the business is still named. It looked as if not much had changed from when Giuliano was a teenager, fifty or sixty years ago. The workshop was tiny, with a tight, steep staircase leading downstairs to a room filled with bulky machinery. Paint was peeling off the walls; old newspapers with curled, yellowed pages and trays with various metal objects filled the shelves. It looked like organised chaos. Giuliano knew exactly where everything was and showed us the matrix plates used to engrave metal sheets for some of the world’s leading fashion brands – including Neiman Marcus, Dior, Nina Ricci and Ballantyne. 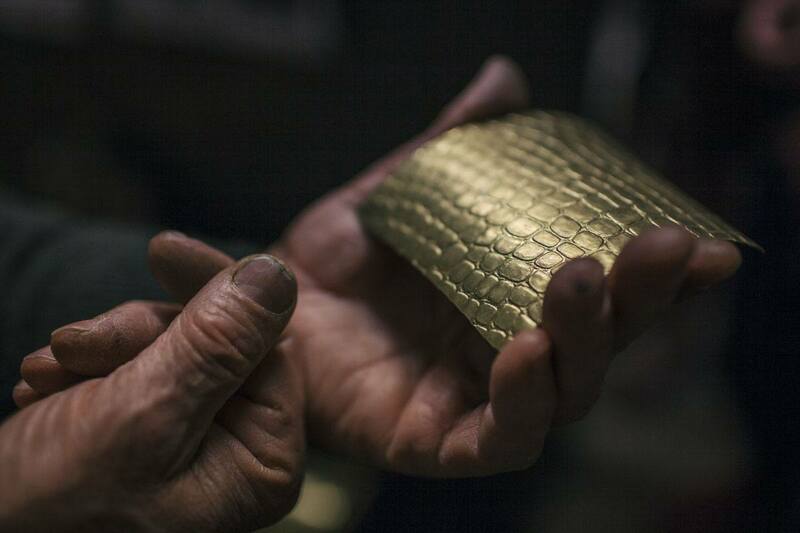 The matrix plates are all engraved by hand with a chisel, a process that can take up to a month. 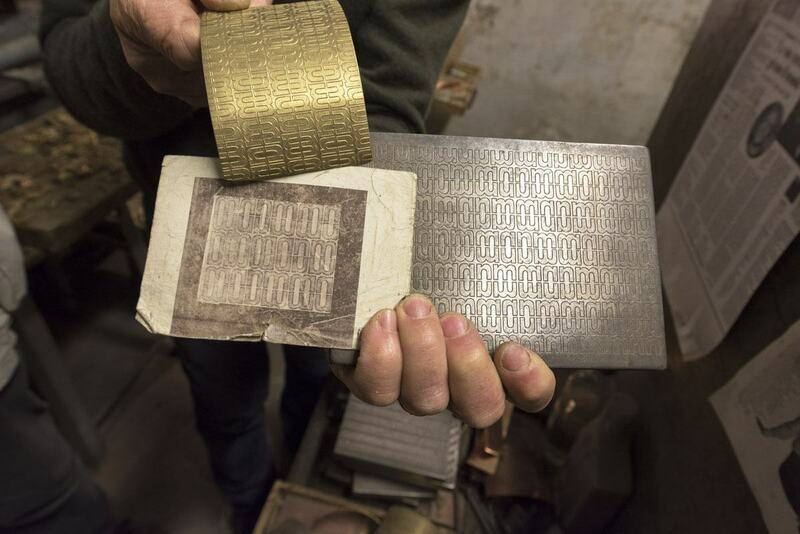 Then, they are run through a machine, that presses them onto thin copper or brass plate, transferring the patterns onto sheets of metal that are then plated with gold or silver and turned into picture frames, pocket mirrors, business card holders, and more. 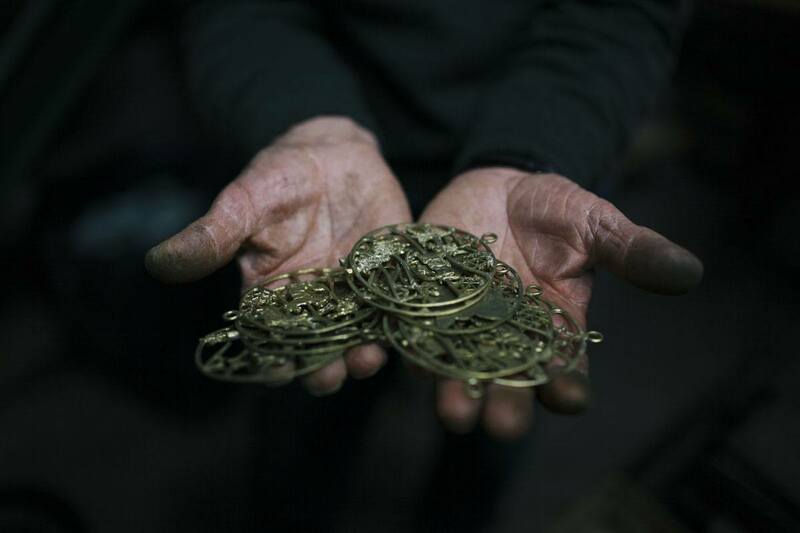 Giuliano also creates exquisite, fine crafter metal ornaments using the lost-wax casting technique, perfected by the ancient Greeks. We climbed back upstairs, where Gianni was welding a silver thread to stick ornaments on a bracelet, and Gianni’s wife was sticking rhinestones onto some miniature bees. The items for sale in the workshops were all reasonably priced, most between 20 and 50 euro – it was incredible to believe that those same items would soon be sold for thousands in the fancy department stores of Paris and New York. Giuliano showed us a shell-shaped salt and pepper holder, custom-made for Dior Home, and then horse-shaped belt buckles for Gucci, and a butterfly picture frame that will be shipped to Neiman Marcus. Meanwhile, Gianni had to say goodbye. He had a large order of powder boxes to complete for Officina Santa Maria Novella, due the following day. A tiny workshop, hidden from street view in an Oltrarno courtyard, with three people hand-crafting exquisite items one by one, for the world’s largest fashion brands. 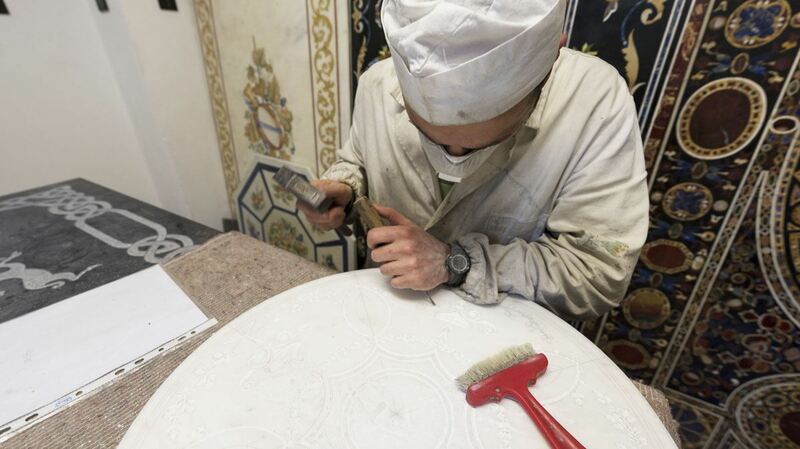 This image exemplified the excellence of Florentine artisans, in my mind. Art needn’t be expensive. 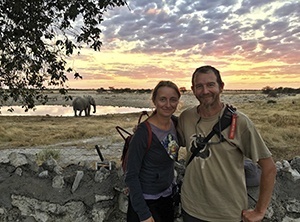 Barely five minutes walk from Giuliano’s workshop we entered Letizia’s store, looking like a stationer’s at first glance – but in fact, it was far more interesting. 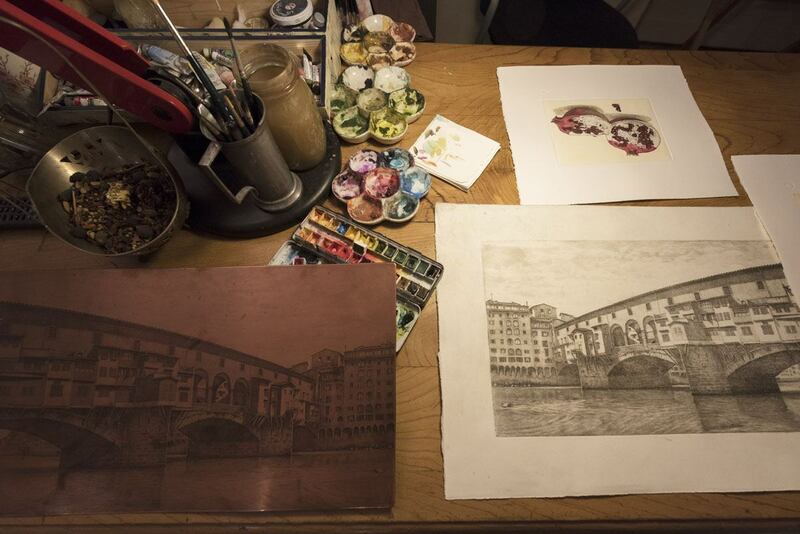 Letizia is a master of one of Florence’s specialty arts – handcrafted paper. Together with book binding, the art of handcrafted paper had its heyday in the 19th century, when Florence was one of the destinations of the Grand Tour that Europe’s aristocrats and literati took across Europe. Letizia showing her marbleised paperGoethe, Browning, Dostoyevsky – they all visited the Oltrarno shops, carrying ancient manuscripts to be bound, or looking for special, custom-made paper. 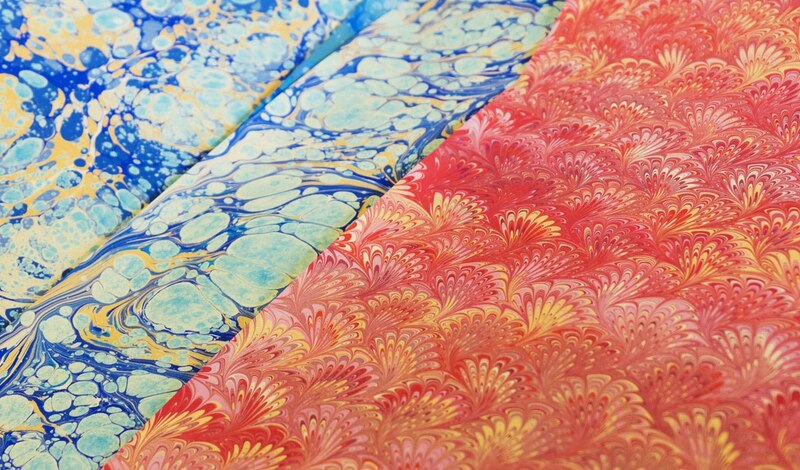 Letizia’s shop was dedicated to marbleised paper, a technique that produces a unique, unreproducible piece of art. 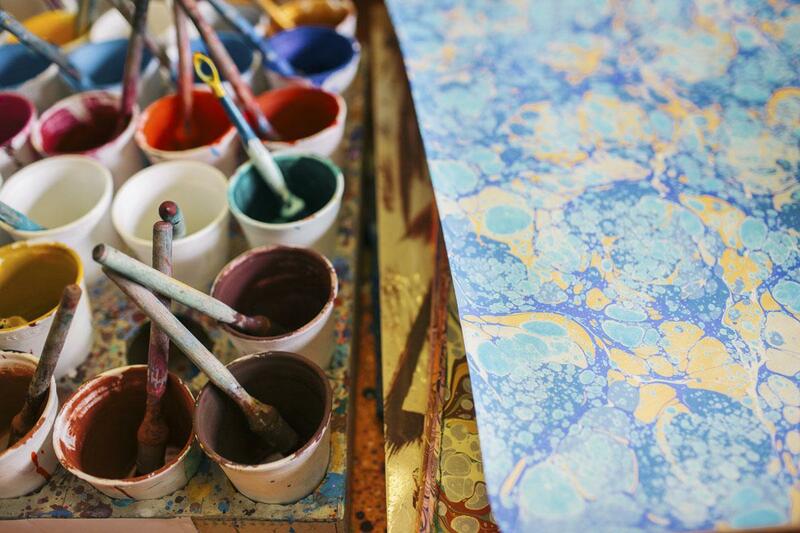 Sheets of marbleised paper were laid out on the counter, to be sold individually for gift-wrapping, or used to decorate a variety of objects – notebooks, boxes, pencils, frames and more. Each sheet or marbleised paper was different, and each felt like a journey into the unconscious, a mysterious, abstract world, where each of us saw something different. A blue sheet looked to me like the sun reflecting onto the surface of the sea. A multicoloured one was like a flower meadow as seen from a car. 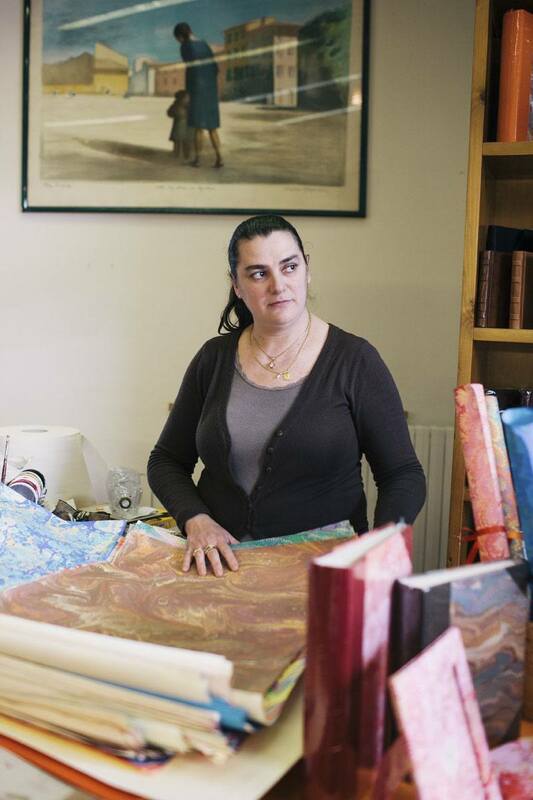 Letizia also leads workshops teaching how to make marbleised paper. She explained us that she prepares a bath using a gelatinous substance and acrylic colours. The jelly helps setting the colours, and Letizia uses combs of her making to mix the colours into the motif she wants -waves, blobs, bubbles, peacock-tails, lines, flames. 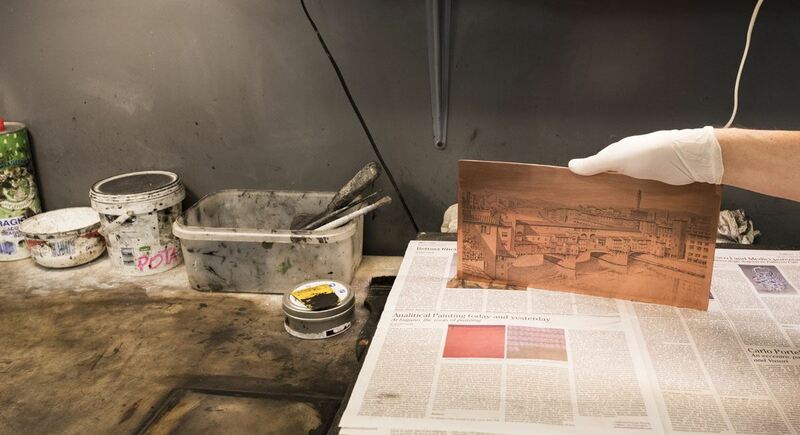 Then, she dips the sheet into the bath – a few seconds are enough to transfer the colours onto paper. The result is a unique piece of art, as it’s near impossible to create the same shapes twice. The price for a sheet of marbleised paper? As low as €9. Sure, it may be a waste to use it to wrap gifts. I would personally frame it, a piece of abstract art that is also representation of a century-old craft. After having left Letizia’s shop we turned into Via Santo Spirito, lined with antique dealers, bookbinder shops and workshops of all kinds. 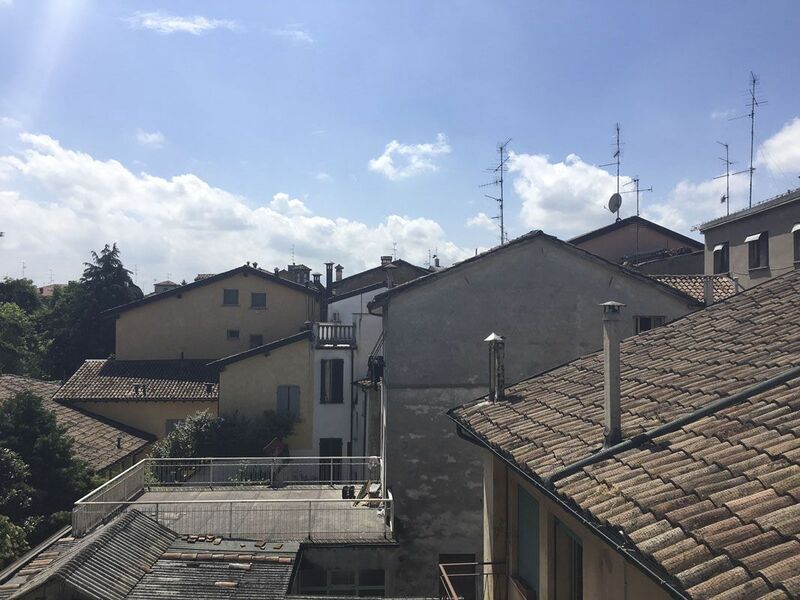 This is the heart of artisan Oltrarno, a streets where five centuries of art and craftsmanship are collected, as exquisite now as they were at the time of the Medici. 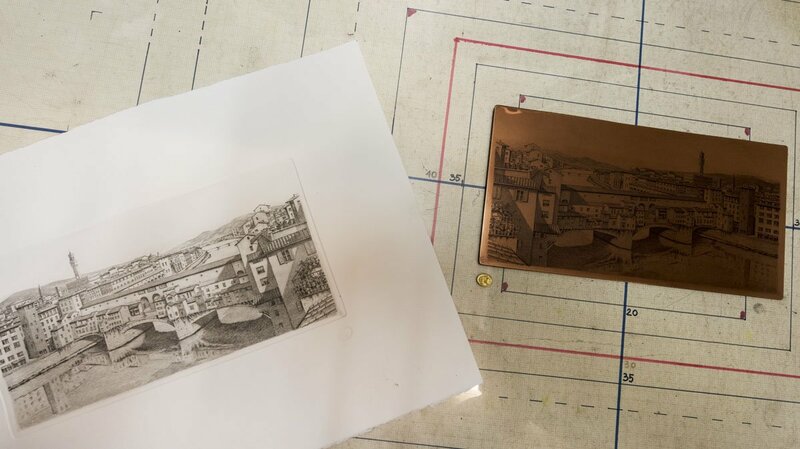 In Via Santo Spirito, we visited L’Ippogrifo, the shop of Gianni and Duccio Raffaelli, two of the last master etchers in Florence. 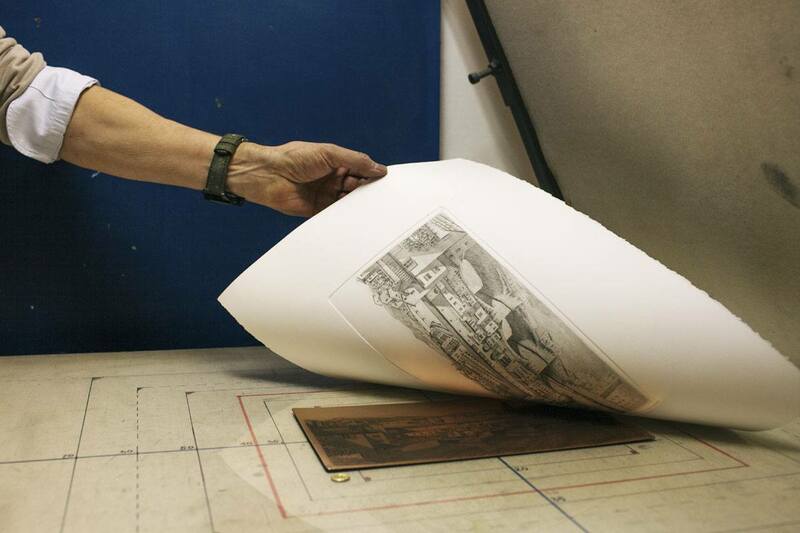 The art of etching was born over 500 years ago, and was mainly used for practical rather than ornamental reasons – until the advent of photography, it was the only way to reproduce book illustrations. Gianni defined himself ‘and artist a craftsman’ – artist because he hand-engraved all the copper plates used for his etchings himself, craftsman because he mastered the technique used to transfer the engraved images onto paper. The shop was full of etchings of all kinds – still lifes, views of Florence and other cities, reproductions of vintage cars, bicycles, animals, landscapes. There’s even a little box labelled ‘etchings for children’, with cute reproductions of kittens and teddy bears, created by Gianni’s wife – even before he said so, I had already guessed that those images full of tenderness came from the hands of a woman. Around the wall there were hundreds, maybe thousands of different images. I couldn’t fathom how many hours Gianni spent at his desk, hunched over a piece of copper, transferring images from his mind or photographs onto the copper plates. A labour of love and a great show of patience and precision, as some of the images were incredibly detailed, and had a kind of dreamy, surreal aura. Gianni’s city etchings don’t show reality as a photograph would – there are no pigeons, no tourists, no souvenir shops, no rubbish. No people, in fact. Milan and Florence become suspended between imagination and reality – between dream and wakefulness. By the time we left Gianni’s shop, we thought the tour was up – but our guide Luca had one last surprise in store for us, as he led us away from Via Santo Spirito, busy with locals returning home or going to the shops, while blades of orange lights shining between one building and another revealed that sunset was approaching. We entered a tiny shop, where a young man in a coat and surgical mask was hunched over a piece of marble, surrounded by a cloud of dust. The young man’s name was Simone Fiordelisi. 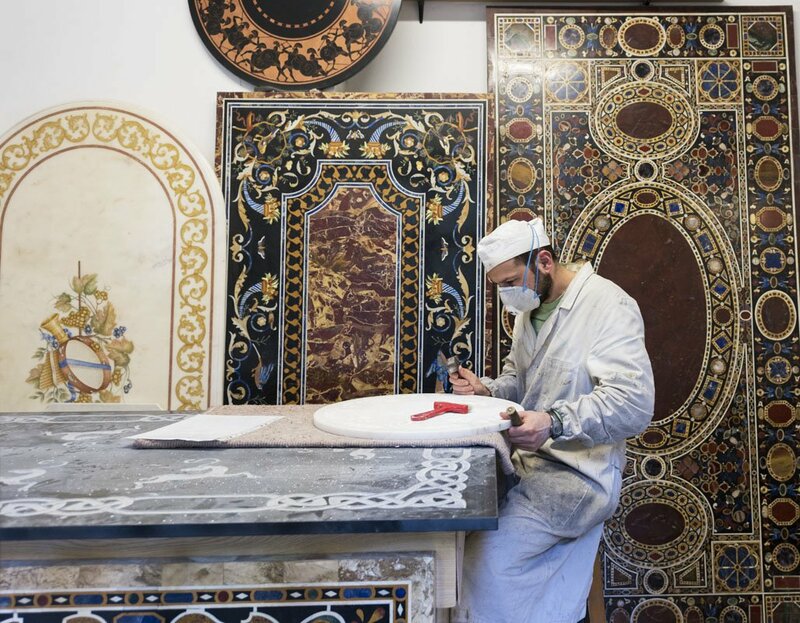 He is one of the last masters in the art of scagliola or mosaico fiorentino, a technique dating back to the ancient Romans, perfected in Florence at the end of the 15th century. I had seen stunning examples of mosaico fiorentino in the Cappella dei Principi, during a Michelangelo-themed tour of Florence. 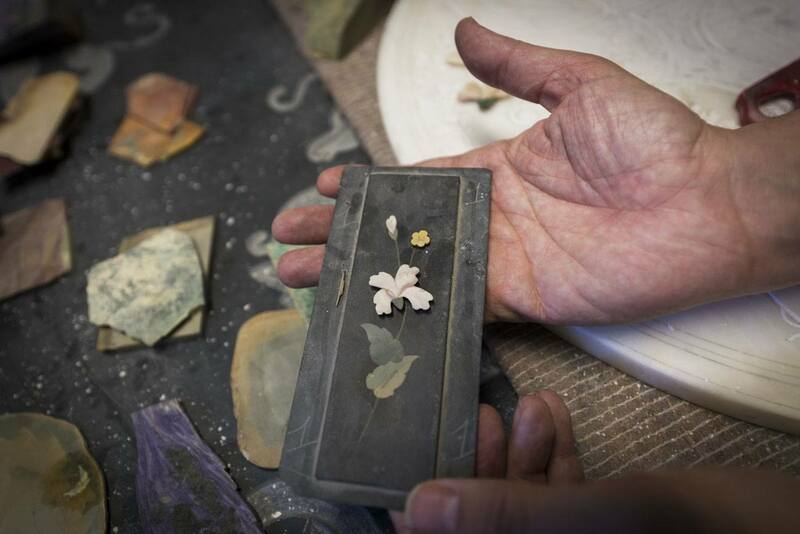 Semi-precious stones are cut and inlaid into marble to create geometric patterns or images – flowers, landscapes, a cat. When we visited Simone, he was working on a tabletop decorated in ancient Roman style – with tiny flower garlands and branches. A beautiful work of art that will take him months to finish. Simone showed us how he meticulously cut each piece of stone to perfectly fit in the groove he engraved in marble. He used several kinds of stones – from the green Arno stone, locally quarried, to several kinds of coloured marble, green malachite, and even lapis lazuli, the most precious of all, found only in the mountains between Pakistan and Afghanistan. 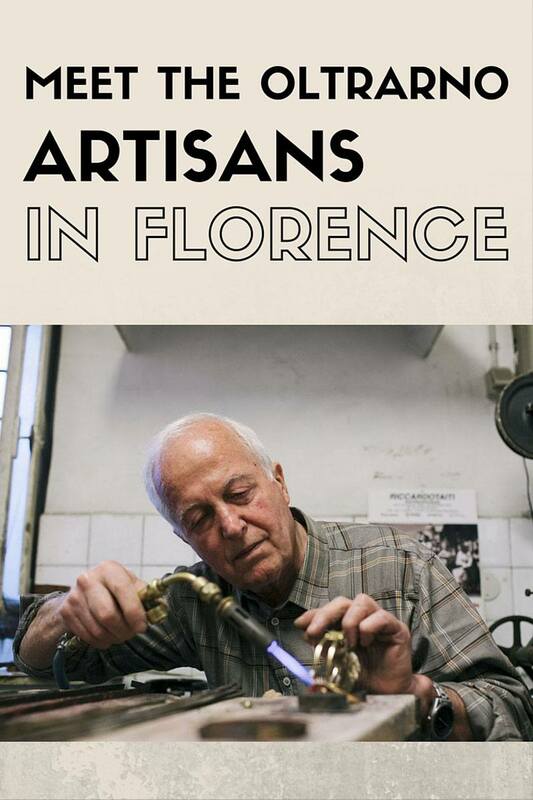 Simone, a young man in his thirties, is a rarity between the artisans of Florence. 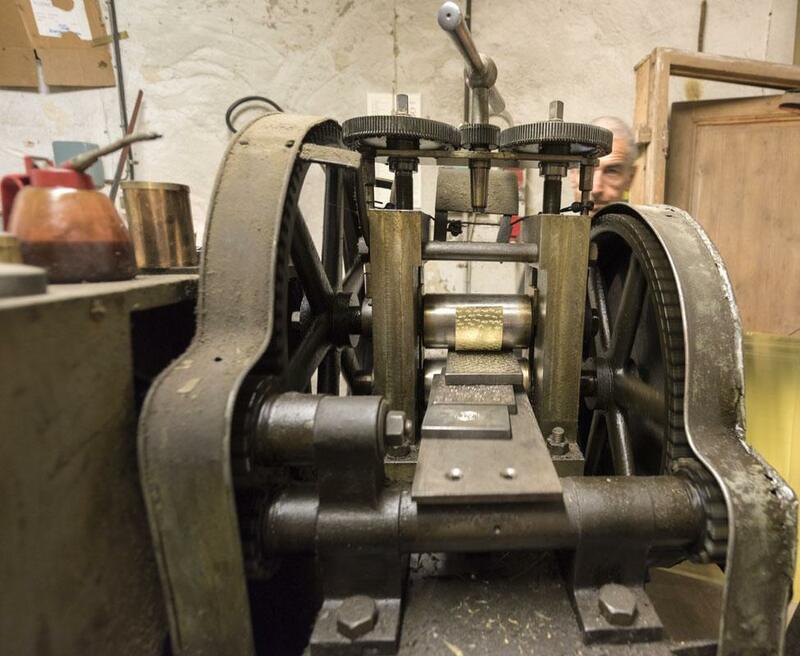 The Oltrarno workshops and their 500 years of tradition are in danger of disappearing within the next generation. 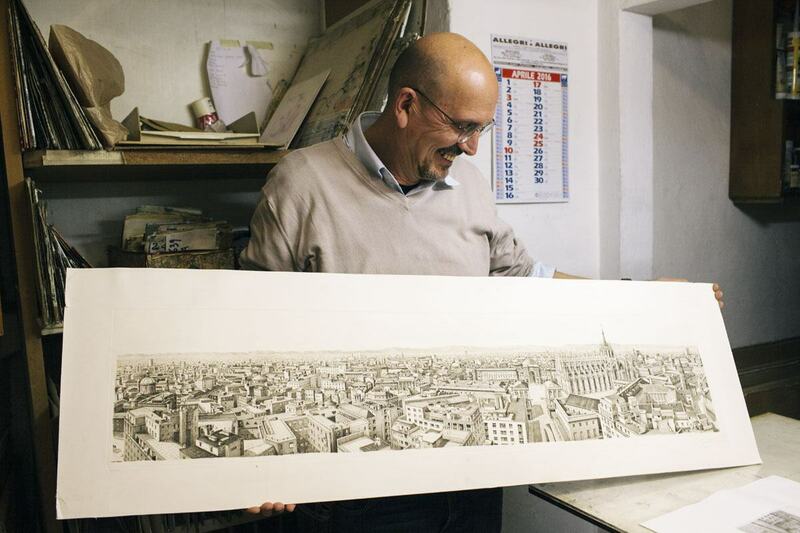 Tighter EU regulations, cheap, industry-made goods, mass tourism, the rising cost of real estate are only some of the difficulties that Oltrarno artisans are facing. The real danger is another – several artisans have no one to teach their crafts to. Young people, nowadays, have no interest to learn. 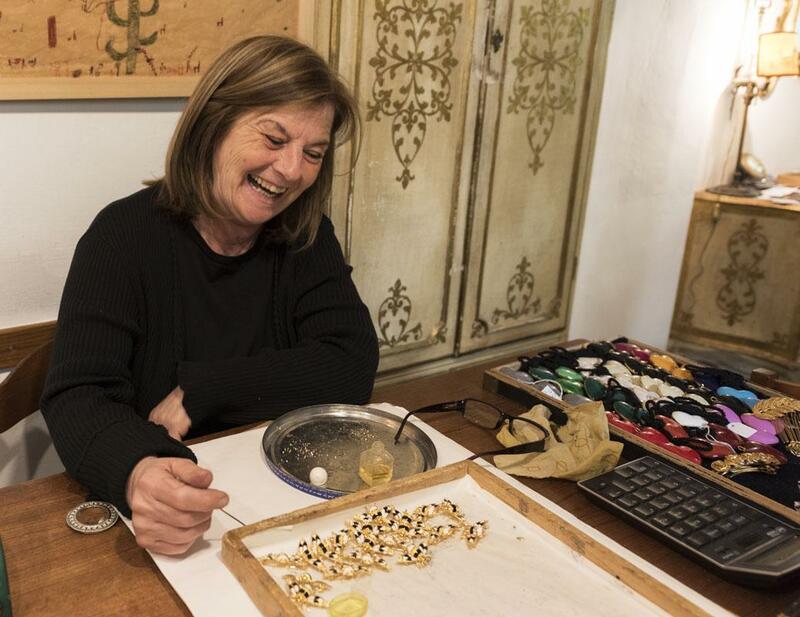 Context Travel and the Scuola delle Arti Orafe, a prestigious Florence jewellery school, have created a scholarship to fund training for a new apprentice every year. 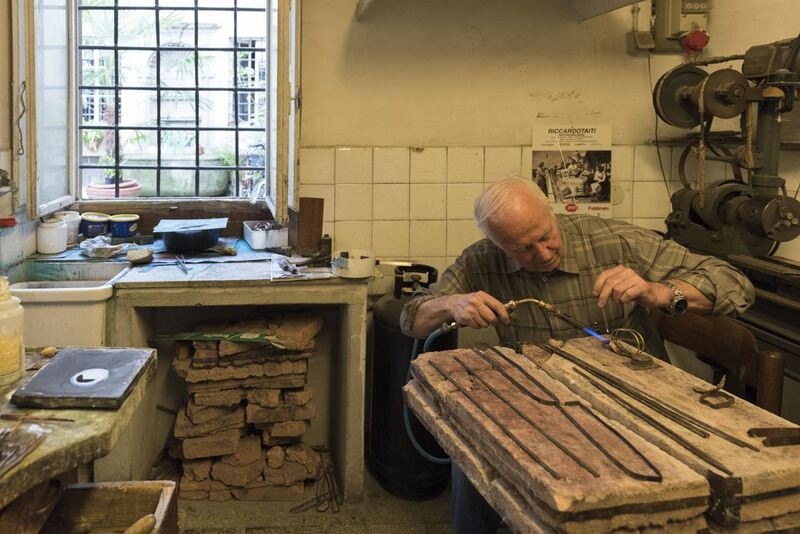 The recipient of the scholarship has the opportunity to learn traditional crafts with an Oltrarno artisan, and perfect modern techniques at the Scuola delle Arti Orafe. 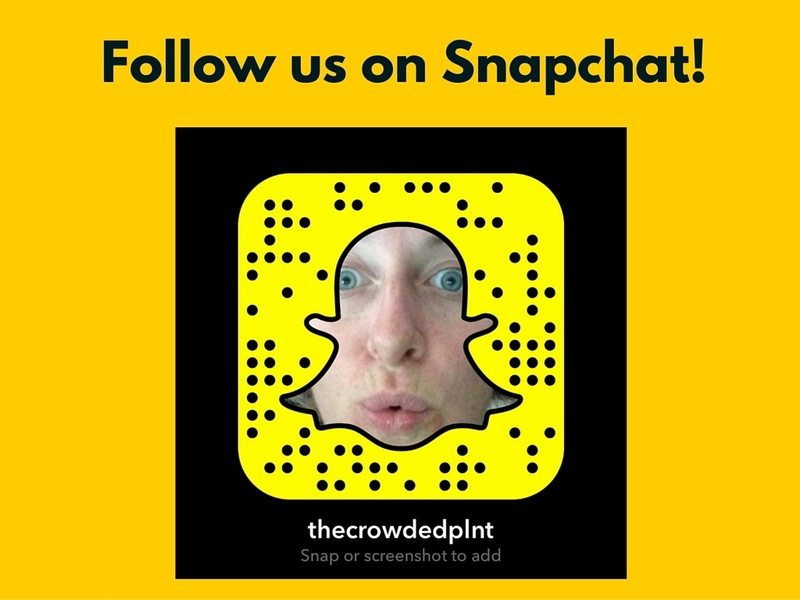 ‘Most of the new apprentices, so far, have been Americans’ said Luca, as he was leading us towards the final ‘surprise’ of the tour. We walked under an arch, onto a balcony overlooking the Arno. Right in front of us was the great river, flowing green and blue, and Ponte Vecchio with its jeweller’s shops, looking like toy houses hanging from the back of the bridge that joins the two halves of Florence. The historic centre with its incredible, immeasurable artistic heritage, and Oltrarno, home to the craftsmen that – behind the scenes – contributed to create that art. Let’s hope Oltrarno continues to be the home of Florence’s artisans and craftsmen, for many centuries to come. 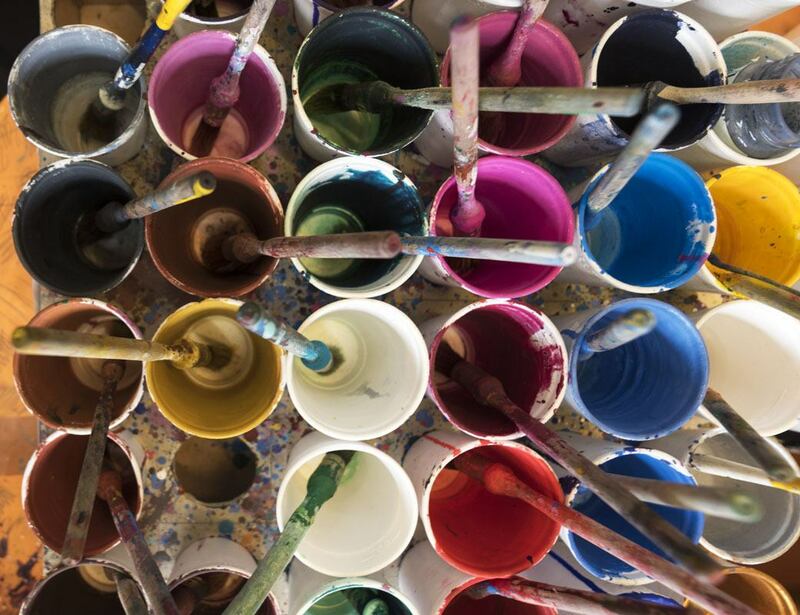 If you want to find out more about art experiences and workshops in Florence, this post has some great ideas!